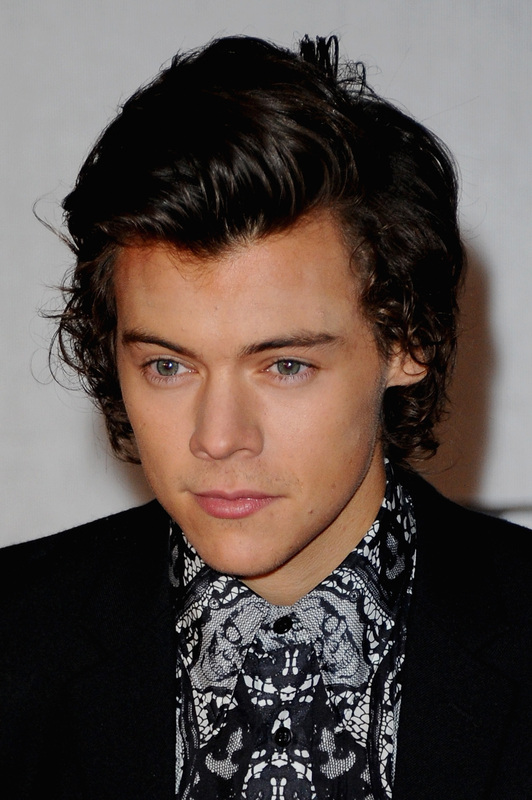 Hey, if you’re ever in a bind, Harry Styles is your guy. Well, if you have his phone number handy, that is. When The 1975 appeared on The Radio 1 Breakfast Show on Thursday, host Nick Grimshaw asked Matt Healy to play “Call or Delete.” The rules of the game: Healy had to scroll through his phone, and whenever someone else called “stop,” he had to prank or delete the closest famous contact. The first name? One Direction's Niall Horan. Horan didn’t answer, so Healy had to delete his name. (Jeez. This game sounds stressful.) That wasn't the end of the game, however. Next, Healy tried another One Direction dude. And that dude was Harry Styles. And Styles answered. AHHHHHHHHHH. Healy knew what he had to do. Healy knew he couldn't let the pressure get to him. Healy knew that he had to execute a prank call on a radio show with one of today's biggest pop stars on the other end. And he did just that. He told Styles he couldn’t get ahold of Horan, claimed he was in a “serious situation," and needed £5,000. Styles didn’t tell him to STFU. Styles didn’t question him. Styles didn't pretend he was driving through a tunnel and losing signal. Instead, Styles told Healy his assistant would contact him and handle it. And whaddya know? A few minutes later, Styles sent a phone number to Healy. Was it Horan’s freshly-deleted number? Or Styles’s assistant’s number? Healy wasn't sure, but AWWWW HARRY. So ready to help one way or another! What a gem.